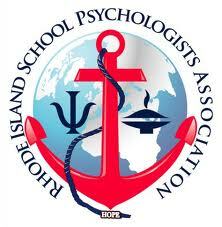 Join us for an opportunity to discuss an important topic that has been widespread within RI public schools this year. An overview of mandatory reporting guidelines for educators will be offered by DCYF Chief of Staff, Patricia Hessler, and Chief Case Work Supervisor, Donna Enright. Patricia Hessler: Serves as DCYF Chief of Staff. Prior to entering state service 9 years ago, she was an attorney in private practice. She has been a lifelong volunteer in the public service community, specifically as an advocate for vulnerable populations. At DCYF, Patricia oversees several divisions within the Department, and is committed to the mission of partnering with families and communities to raise safe and healthy children and youth in a caring environment. Donna Enright: Serves as DCYF Chief Case Work Supervisor for Child Protective Services since 1984. Donna has been a CPI for 5 years in the field, 10 years as a Hotline CPI and 17 years as a supervisor on the Hotline and the field. Donna has trained school staff on CPS reporting laws and she is a member and captain of the RICHIST CPS Swat Team. We are excited to announce that this workshop is being co-sponsored with the RI School Social Workers! !